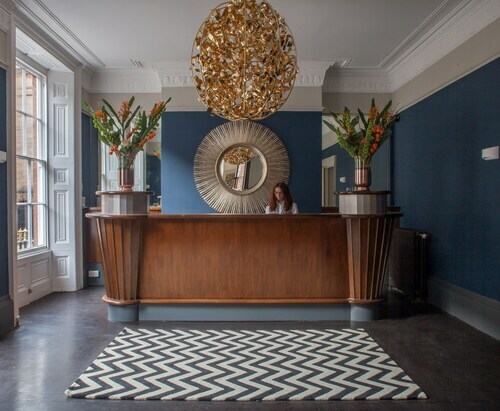 Located in Nottingham City Centre, this hotel is within a 10-minute walk of Old Market Square, Nottingham Castle, and Theatre Royal. Motorpoint Arena Nottingham and Lace Market are also within 15 minutes. Nottingham Station is 11 minutes by foot. Located in Nottingham City Centre, this apartment building is within a 10-minute walk of Theatre Royal and Nottingham Trent University. Lace Market and Nottingham Castle are also within 15 minutes. Nottingham Station is 17 minutes by foot. 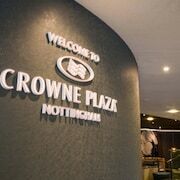 Located in Nottingham City Centre, this eco-friendly hotel is within 1 mi (2 km) of Motorpoint Arena Nottingham, Old Market Square, and Theatre Royal. Nottingham Castle is 1.1 mi (1.8 km) away. Nottingham Station is 6 minutes by foot. Located in Nottingham City Centre, this romantic hotel is steps from St Mary's Church and Lace Market. Motorpoint Arena Nottingham and Theatre Royal are also within 15 minutes. Nottingham Station is 9 minutes by foot. 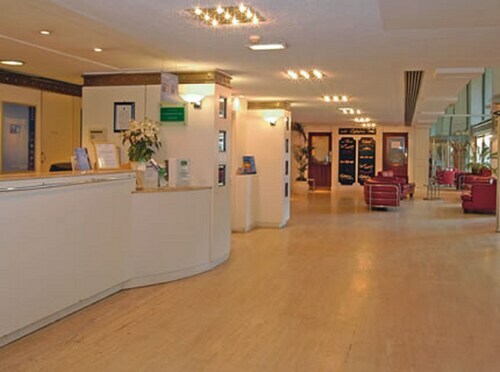 Situated in Nottingham, this golf hotel is 0.1 mi (0.1 km) from National Water Sports Centre and within 3 mi (5 km) of Motorpoint Arena Nottingham and Lace Market. Trent Bridge and City Ground are also within 3 mi (5 km). 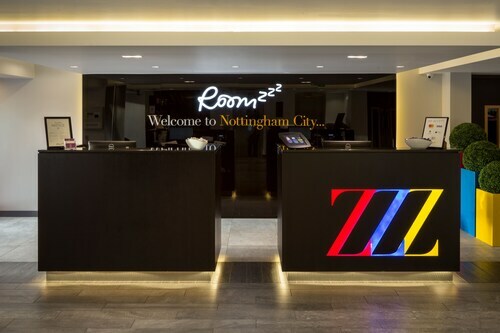 Located in Nottingham City Centre, this hotel is steps from Bridlesmith Gate and Lace Market. Motorpoint Arena Nottingham and Theatre Royal are also within 10 minutes. Nottingham Station is 9 minutes by foot. 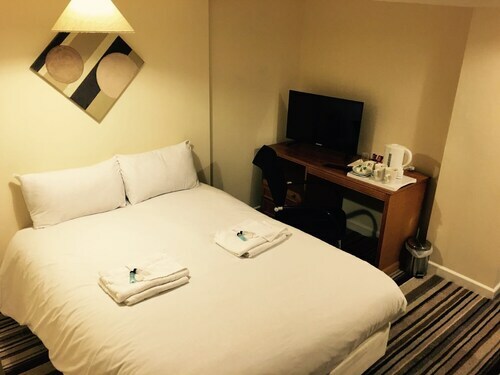 Situated in Nottingham, this guesthouse is within 1 mi (2 km) of Victoria Centre Shopping Mall and Nottingham Trent University. Motorpoint Arena Nottingham and Theatre Royal are also within 2 mi (3 km). 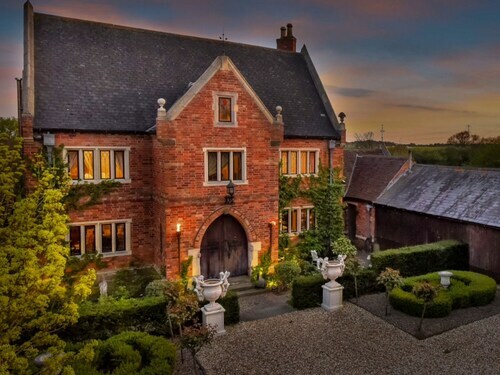 Situated in a rural location, this luxury bed & breakfast is 4.3 mi (6.9 km) from National Civil War Centre and within 20 mi (32 km) of Belton House and Sherwood Forest Country Park. Lincoln Castle is 23.6 mi (38 km) away. 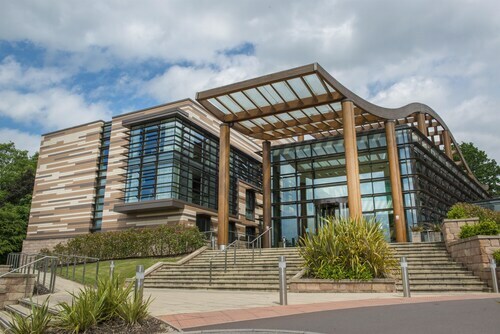 Situated in Nottingham, this hotel is within 3 mi (5 km) of Bulwell Forest Golf Club, University of Nottingham Jubilee Campus, and Nottingham Cathedral. Nottingham Playhouse is 3.1 mi (5 km) away. Bulwell Station is 23 minutes by foot. 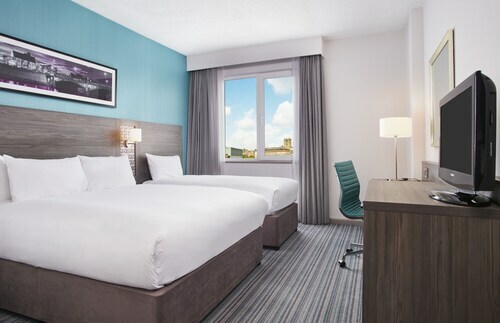 Situated in the business district, this eco-friendly hotel is within 1 mi (2 km) of Victoria Centre Shopping Mall, Nottingham Trent University, and Theatre Royal. Motorpoint Arena Nottingham and Lace Market are also within 2 mi (3 km). How Much is a Hotel Room in Nottinghamshire? 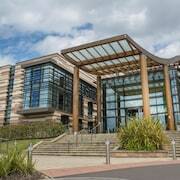 Hotels in Nottinghamshire start at $24 per night. Prices and availability subject to change. Additional terms may apply. Pack your bags—it’s time to embark on a getaway. Whether you’re craving a solo retreat or promising your family a vacation to remember, book one of the best hotels in Nottinghamshire. These hotels are located within easy access of the city’s hottest attractions and entertainment, so you won’t miss a beat while you’re in town. Spend the days exploring the local landmarks and the evenings getting to know the nightlife. After exploring the city from top to bottom, rest up at a hotel that speaks to you. Find the perfect place that matches your trip’s vibe, from a trendy boutique to family-friendly accommodations. Allow us here at Travelocity to pair you with up Nottinghamshire hotels that suit your vacation preferences. Discover places with convenient on-site restaurants, around-the-clock service, and pools where your kids can make a splash. Some hotels may boast fitness rooms and spa services, while others feature game rooms and Wi-Fi access. To top it all off, you’ll score cheap hotels in Nottinghamshire that let you spend more on your activities and less on your lodging. Book and bundle your flight and hotel deals together today and save up to $537. It’s time to explore a new city, and break out of your routine. 5.0 Accommodating and friendly staff. Lovely room. We enjoyed our stay very much . Would recommend to all. We would stay here again. Old style hotel, but decor charming in many ways. 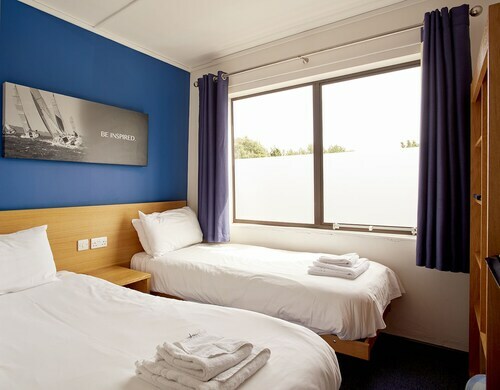 Good sized rooms and good fitout. Only real "con" was the massively noisy timber floors both in our room and the room above. This is an age-related issue and easily fixed with a proper room/building maintenance regime. 5.0 Although old this hotel has been well kept and is convenient to everything. The hotel is well kept despite it's age. The room was clean and the service was good. The breakfast is great and the wonderful lady on duty had it open at 6am so we got coffee and cereal before our 6am departure. That was an extra and appreciated bonus. It was a greta value.